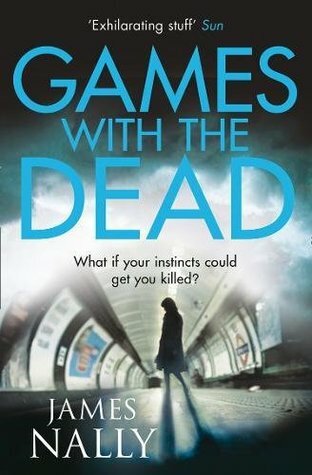 I am currently reading Games with the Dead by James Nally. We all know Julie Draper now. Her twenty-four-years-old, shyly smiling face is everywhere. Can it really be just nine days since she rushed out of her estate agent's office in south London to show a client around a house, only to vanish into thin air? The hunt for Julie Draper goes on. Only two people know she's already dead. The man who killer her. How intense? I was really in the mood for something a bit darker and more gritty when I picked this up, and I wasn't disappointed. This is the third book in the series but I'm hoping as with most crime/mystery/thrillers it can be dipped in and out of and read out of order. I walk into our bedroom. She's a snoring bed lump. A human landslide. It is 11pm after all. I'm actually almost finished, so I know what was going on on page 56. I actually really love this little snippet, I think it captures the emotions of the moment in the story really well. The familiarity and the building anger. This book is fully living up to my expectations. I don't feel lost having not read the previous two books, but I am enjoying this one so much that I will go back and read them both. Check back on Sunday for my full review. I'm featuring my Goodreads Group Read of the month: : http://bit.ly/2F17A7s A Snowflake's Chance in Hell. Well the first sentence has me wanting more, so definitely adding to the list! I'm currently reading a book called Kicking the Bucket List. It's not as intense as what you're reading though! I just chose it at random on the Kindle, but it's actually good. A nice easy read, which is what I like. This does sound really good. I'll be adding the series to my wishlist. This week I'm reading The English Wife by Lauren Willig. Happy reading! Just went and looked up the series. I like the sound of PC Donal. Not in our library, though. Looks awesome, great writing too! I love books like this! :) Have a great weekend! Sounds very good! Happy weekend! What an opening. I am intrigued and feel terrible for Julie. Whoa! That's some beginning. Sounds like a perfect fit for me. That is a seriously eye catching beginning! 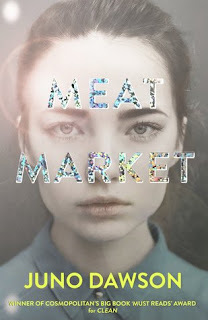 I haven't heard of this one but it's definitely going on my TBR. Thanks for sharing!